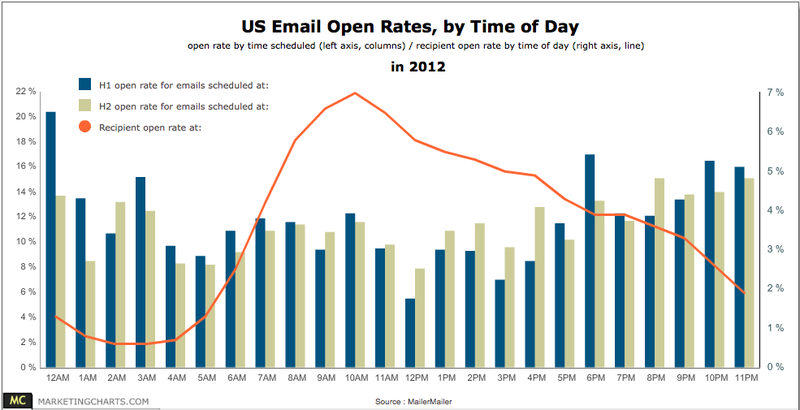 The Open Rate = This tells you how many people opened your email and loaded a hidden pixel (which is the way an email program knows someone opened your email). 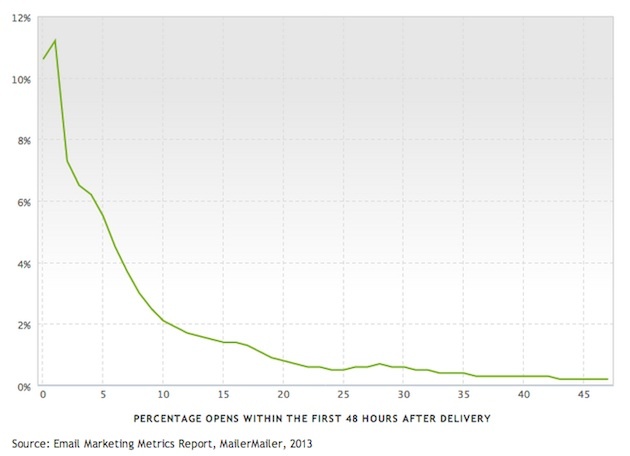 The Click Through Rate = This tells you how many people actually CLICKED a link in your email. 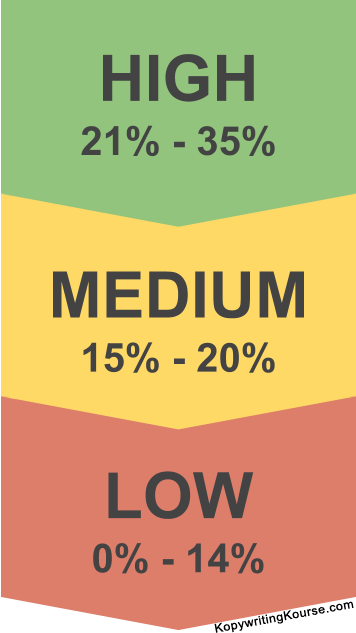 It’s very hard to find out what a “healthy” Open Rate is because people usually don’t share this private information. So we decided to ask the audience to share theirs….and people shared their private open rate numbers! 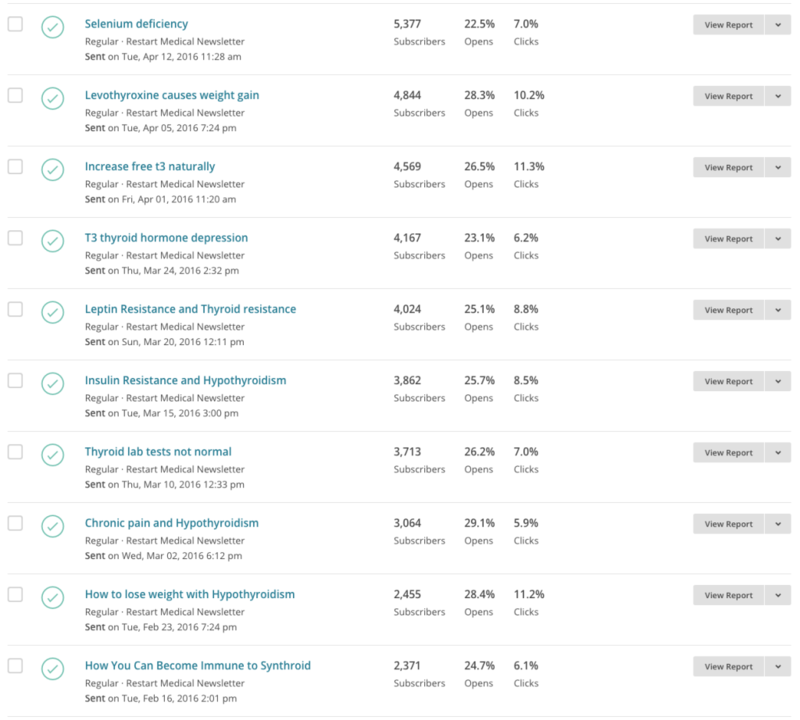 Let’s peek behind the scenes at some real life Email Open Rate numbers! This is normally information that people keep super private, so let’s be thankful for the info shared. Now let’s start snooping into some private email open rate information! Open Rates: 16% – 34%. 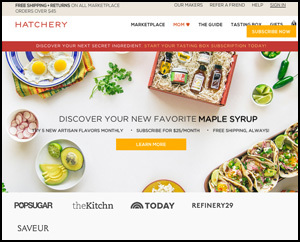 A monthly subscription site that sends you food tastings. Seems like they have pretty high open rates, but relatively low click-through rates. That can be totally normal if their newsletters are typically not trying to push customers to the website. I also noticed they are often sending out their promo emails on Wednesday’s and Saturday’s. 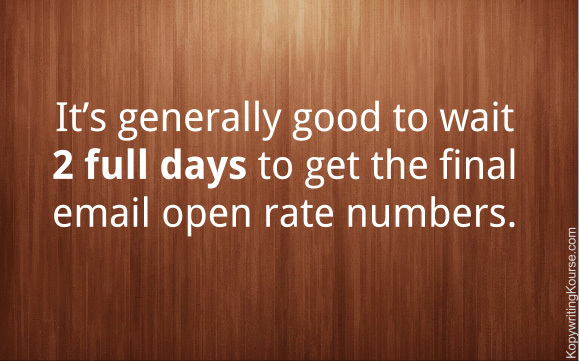 Those both are the lowest open-rate days! They might want to make sure they send promo emails on either Monday, Tuesday, Thursday. 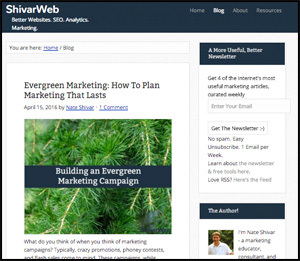 This is actually a very highly trafficked blog, but not a big email list. 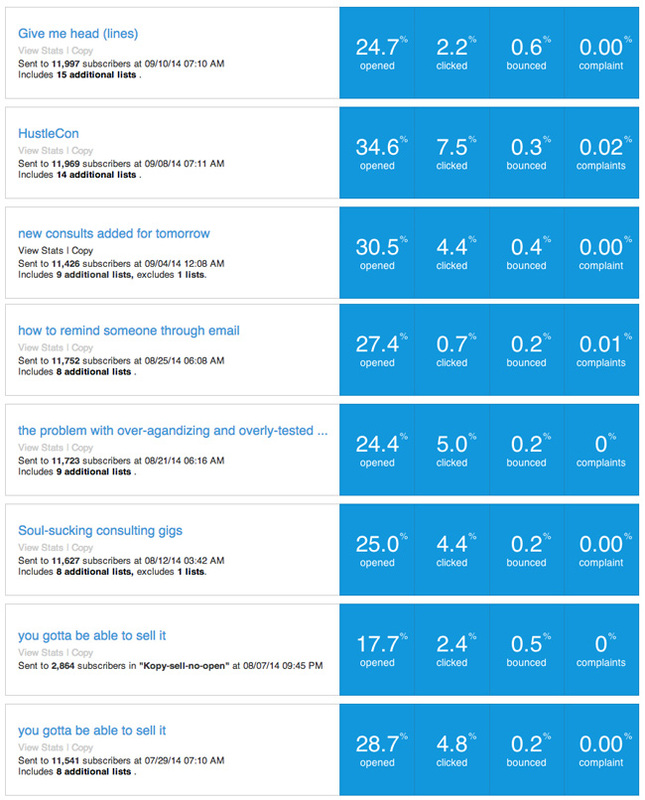 The upside is with some optimization he can definitely build a larger list with all the traffic he gets. 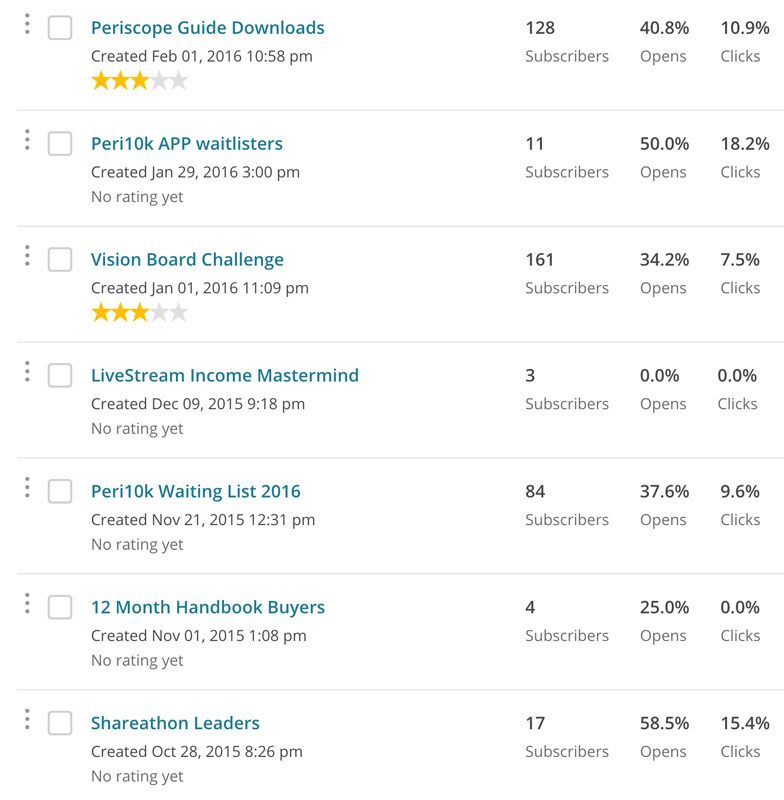 This site is a group of Periscope users who livestream. While this is a pretty small list (around 200 people), it’s what most people will start out at. 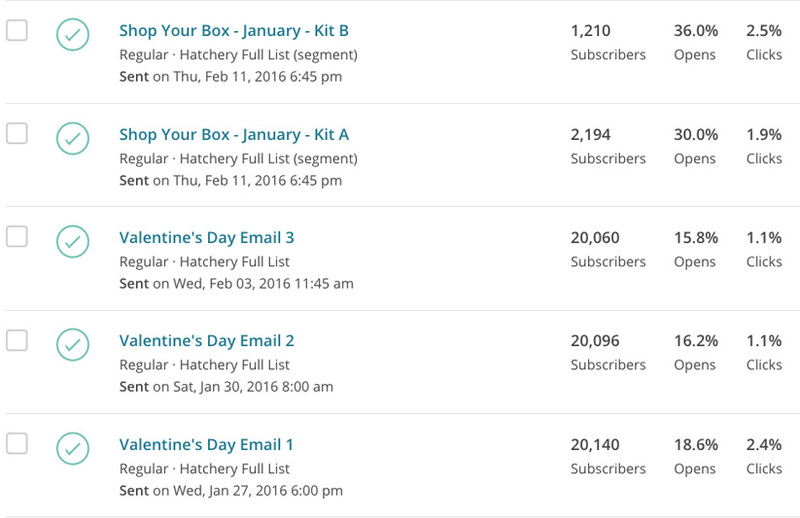 Sometimes seeing the stats behind gigantic 100,000+ email lists is interesting for people, but not useful. While this list may be small, it does have very high engagement. List size: ~47,000 at time. Currently ~140,000. Here’s a sample of a blog that was dormant for a while, then Noah decided to grow it starting January 2014 (I watched him do it). He started with 12,000 email subscribers, and by September 2014 had nearly 50,000 subscribers.This was all done through guest posting, guest podcasting, being Jewish, and just putting out cool stuff on a consistent basis. 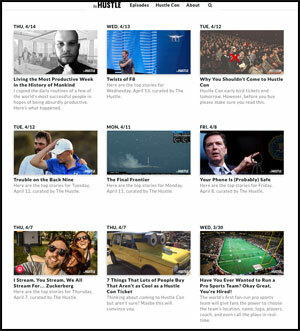 Noah gets a lot of high-quality guest posts that often get forwarded via email. Current list size is ~140,000. Open Rates: 22% – 29%. 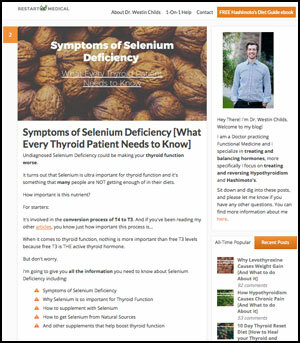 A wellness blog hosted on MailChimp with a ~5,500 person email list. 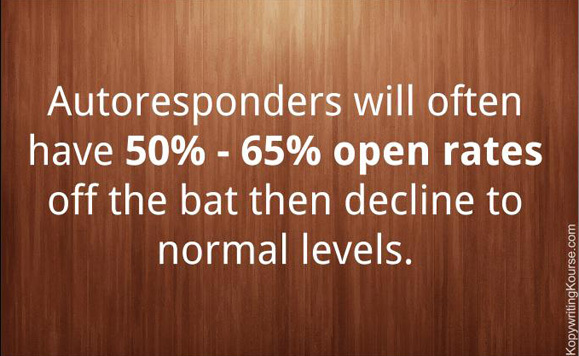 Open rates are healthy at between 22% – 29% depending on the subject. 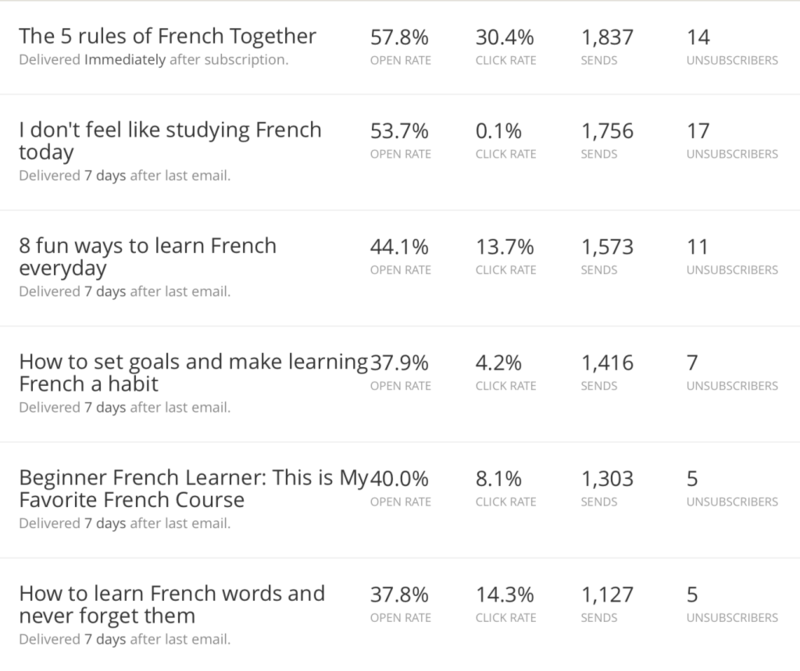 Can see below which emails seem to resonate the most according to open rate and click through rate. Open Rates: 29% – 43%. A screenshot from an email list of ~1,700 people. It’s funny that this is considered a “small” email list, but if you visualize a room full of 1,700 people who follow Kendra, that’s actually a huge amount! 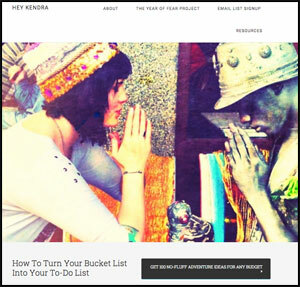 Often times these smaller lists that aren’t totally monetized every damn email (which can get super annoying) can get great engagement rates like Kendra’s. 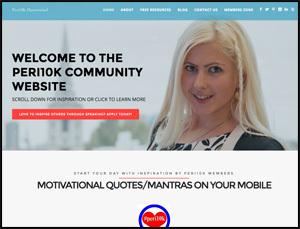 Interesting side note: You can see a small list of 15 people she sends to (presumably a paid course of some sort) which gets incredibly high engagement (90% – 100% open rates and 50% – 100% clickthroughs). 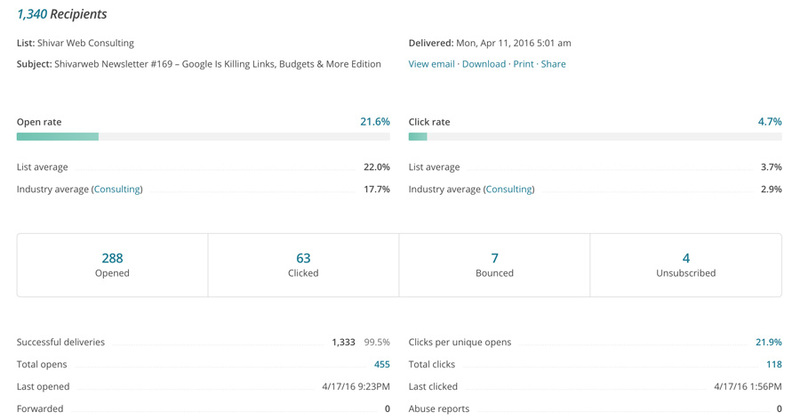 Laser-targeted lists will always have higher engagements. <– (thanks Captain Obvious)! 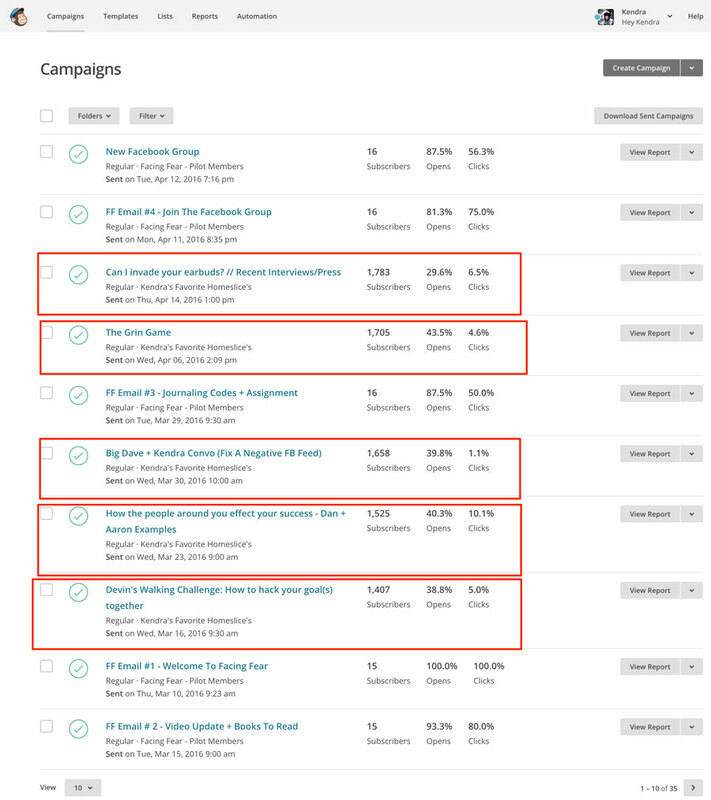 The screenshot below is of different auto-responder campaigns which typically have a super-high open rate since people signup for something, then read the emails immediately. List Size: ~3,900 subscribers & students. 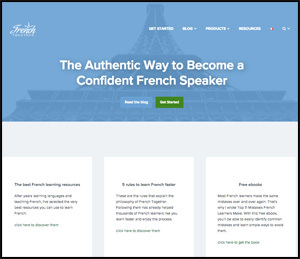 This is a website all about learning the French language. The screenshots included are broken up into 3 different segments. Open Rates: 22% – 31%. Here’s a screenshot of some of my latest emails. Since I haven’t been very consistent sending them sometimes the numbers swing quite a bit. 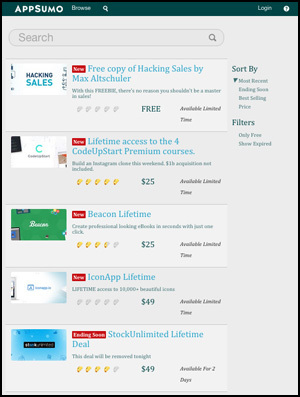 Aweber tells me the KopywritingKourse has 15,000 members, although the end result gets sent out to between 11,900 and 12,100 subscribers. 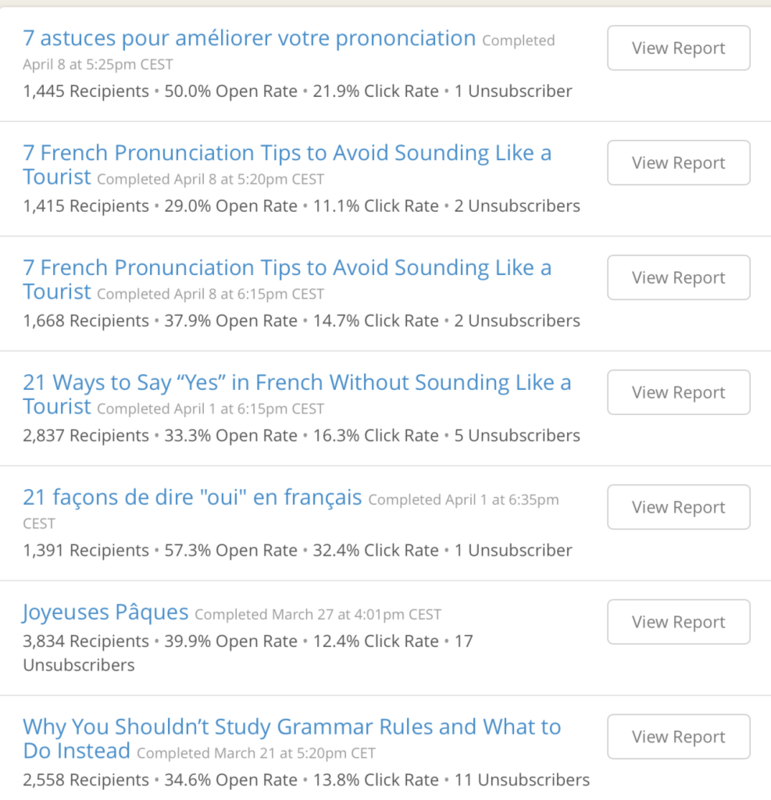 You’ll notice the click-through rates vary WILDLY. 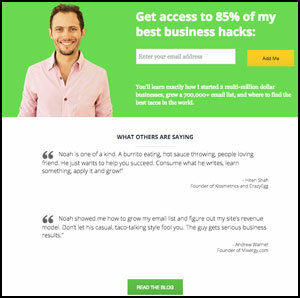 For example: The “How to remind someone through email” has a 0.7% click-through rate because there was nothing in the email to click. So naturally no clicks (other than some random people clicking my signature). 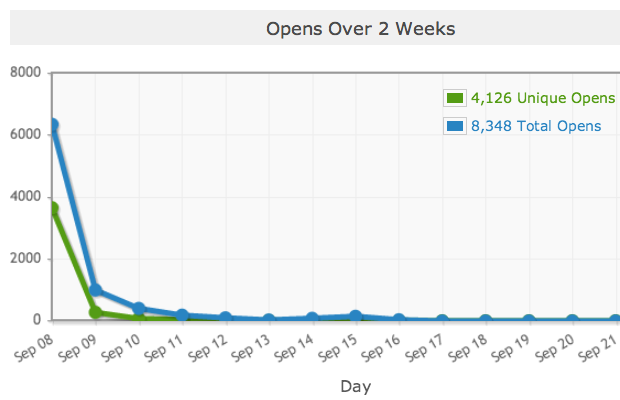 However in a post about “How To Throw A Conference called HustleCon” there were TONS of juicy clickable links, so naturally the click-through rate was noticeably higher at 7.3%. That post also laid out a blueprint for throwing a conference, so a lot of subscribers forwarded it to colleagues (which when they open also counts as an open). Here’s a sample of a SUPER LARGE email list that gets emailed about 3x per week. 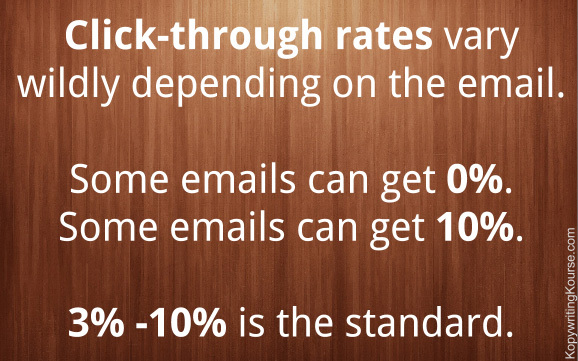 There’s a host of problems when sending out tens of millions of emails per month, so these open rates can swing wildly (usually the only people sending out 10,000,000+ emails per month are spammers). 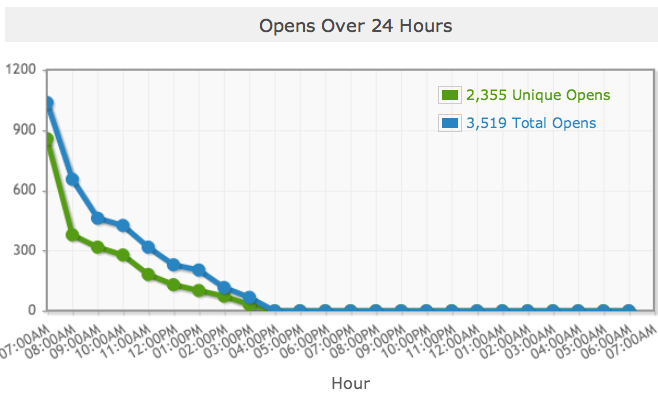 Notice the largest email blasts get within the ~13% Open range. 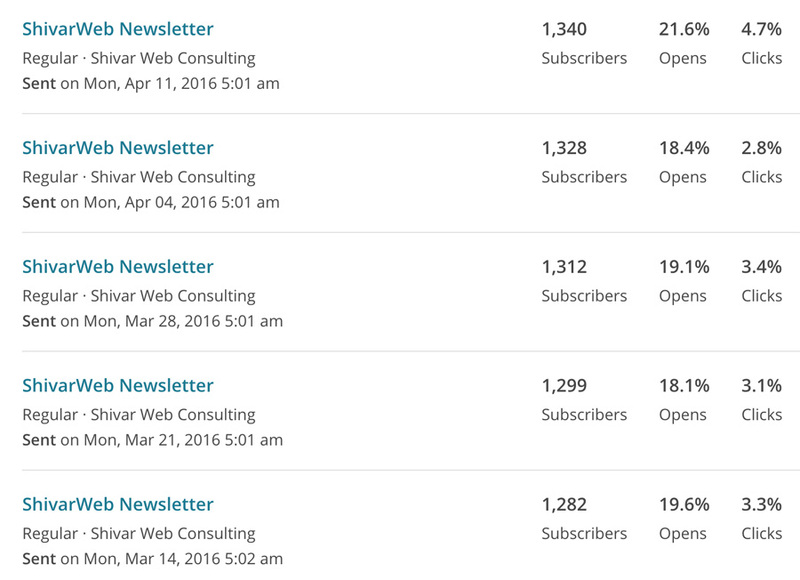 But then notice the super-targeted smaller email blasts Open super high at 50% – 70%. When you consider that the “super targeted list” is still sending to over 55,000 people, it’s quite amazing. 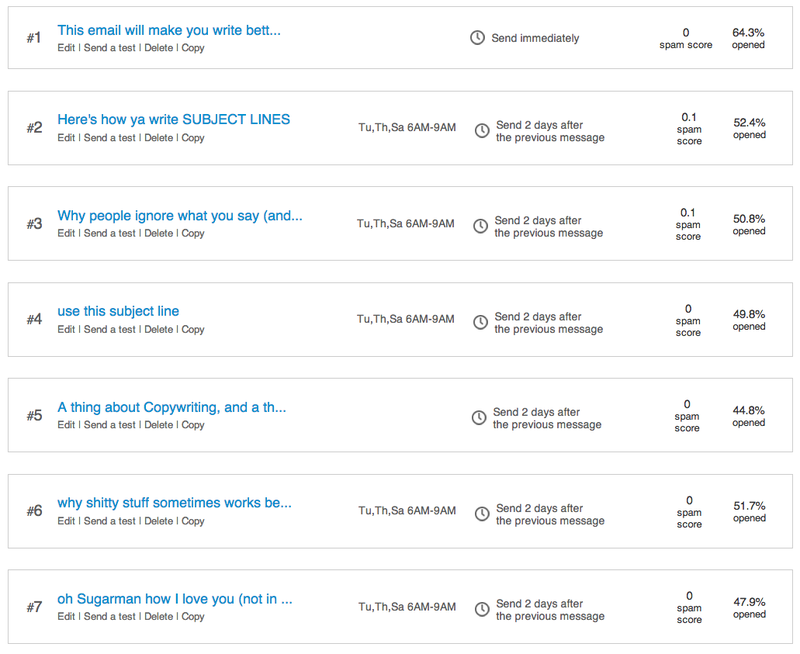 Since the people getting these emails have JUST signed up to my copywriting newsletter, they are probably highly interested in the emails I’m about to send them with free copywriting advice, so naturally this group of people is very likely to open the emails, hence the 50% and above open rates. Fact 1.) 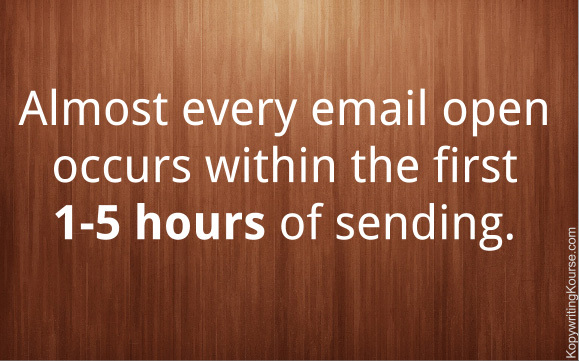 Almost every email open occurs within the first 1-5 hours of you sending it. Here’s a chart I pulled from an email I sent at 7am this morning. 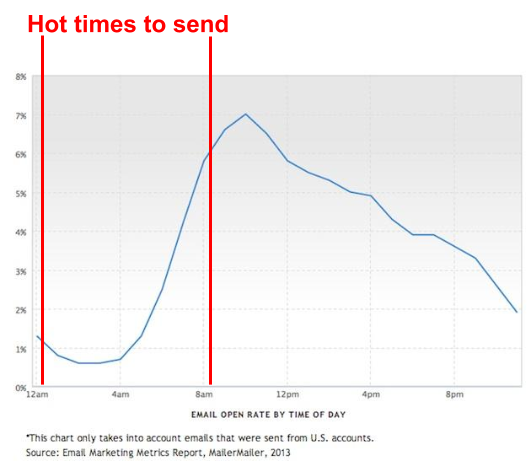 This nose-dive graph is typical of email open rates. Fact 2.) 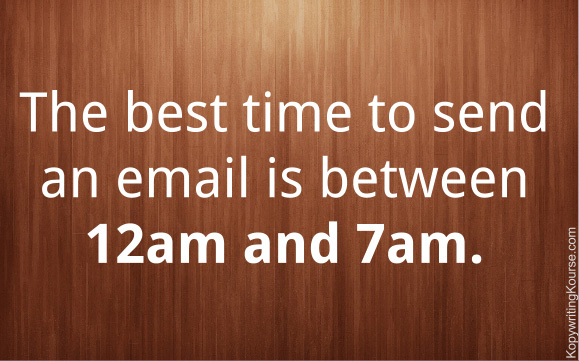 The best times to send an email is super late at night or early in the morning. I personally like scheduling emails for 7am Eastern Standard Time. This way the email gets sent to everyone in the United States around the time they start waking up and checking their phones (very likely whilst on the toilet)! You preferably want to send during the “uptick” times. 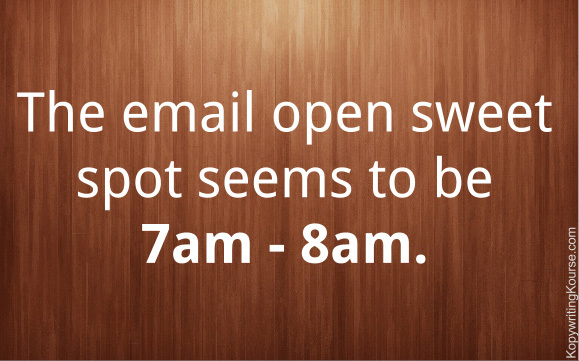 Usually people have more casual time to browse your email earlier in the day. While someone might open your email at 2pm, it’s more likely they’re be busy or distracted with other things, preventing them from clicking or buying. Fact 3.) Some industries see very different results. I can’t prove this with numbers, but I think I know why the below chart looks like it does. I do a lot of consults with different industries, and outside of the tech world, most people send their email lists HORRIBLE emails. They’re usually just pimping whatever product they’re currently releasing, and they provide NO value whatsoever to the reader. Hence over time more and more people start ignoring the emails. 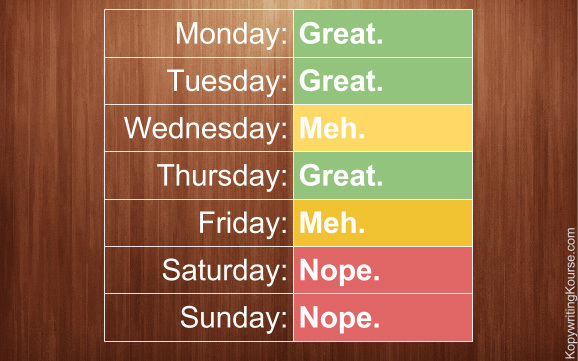 (By the way….If you suspect you’re sending out crappy emails, take my KopywritingKourse to correct that by tonight). 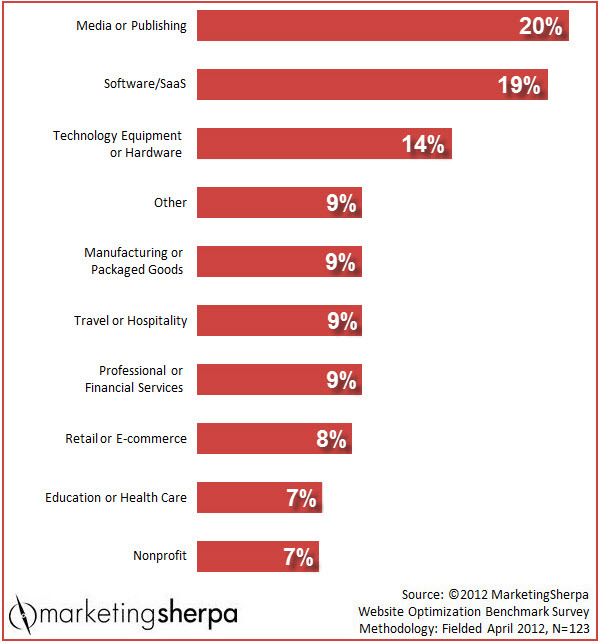 I used to run an ecommerce company, and my email open rates were typically around 13% give or take. That’s higher than the average. 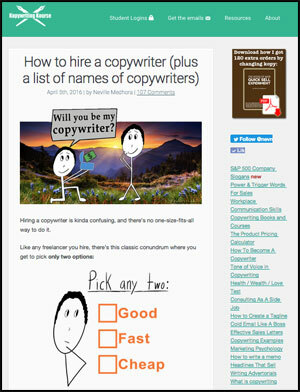 BUT THEN when I started applying proper copywriting techniques in the email, they shot above 22%. When you’re attempting to sell something, and more than double the amount of people pay attention to you on each email, that’s a GREAT re$ult!